Lone Tree, CO is south of Denver in Douglas County, just 20 miles from downtown Denver. Lone Tree, Colorado hosts some of the best shopping and dining in the Denver metro area. Even the most discriminating shoppers are surprised by the first-rate shopping that's available. 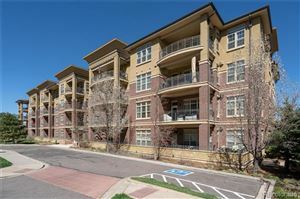 It is one of the most desirable destinations along the Front Range with blue skies, beautiful landscapes, and excellent recreational opportunities and extensive rail network. Newcomers are lured to the region by the appeal of the celebrated Douglas County public schools.